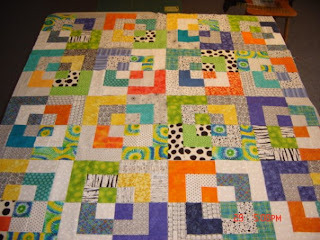 Here are a few pictures of Lynn's Bento Box quilt that she started during our gathering on Saturday. I think it came out great. I just love the colors. This was layout 1. It looks good, but not as nice as layout 2. And here's layout 2, the layout she ended up going with. I love this layout. I like how it has the traditional Bento Box feel with the alternating dark and light values next to each other in each quilt square. Very pretty. Bento Box is on my list to do. I agree, I do like layout 2 the best. But they are both very pretty. The colors are great! They are both nice layouts but I too like number 2 the best. 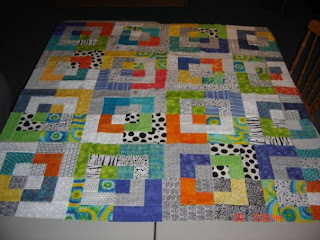 I have that pattern and need to make it.